Now that August is over and Labor Day is but a memory, it is time to focus on how the CPSC spent the closing days of summer. On a positive note, the agency was able to push forward helpful initiatives that ease compliance costs without diluting safety. Then they had to put a damper on this positive glow with threats of resurrecting the discredited and flawed proposals dealing with voluntary recalls and public information (the §6(b) rule). The recently published NPR interpreting the fireworks rule is one of those steps forward. The fireworks regulation has been on the books for several decades and is sorely in need of updating. Among many other things, the regulation is designed to address overloaded fireworks but does so in a less-than-straight-forward manner. It bans fireworks “intended to produce audible effects” if those “audible effects” are produced by using more than 2 grains of pyrotechnic composition. Rather than measure the pyrotechnic materials in the fireworks device to determine compliance, for years the staff has listened for the intensity of the sound produced by the device to determine if it was intended to produce audible effects or whether the sound produced was merely incidental to the operation of the device. The staff’s determination as to how loud the device was, based on what a staffer heard, was hardly either objective or measurable and has resulted in compliance actions that have been criticized for lack of objectivity. The American Pyrotechnic Association has a standard that actually measures the presence of materials that may be used to produce an audible effect. The APA standard has been adopted by the Department of Transportation regulations that deal with the shipment of fireworks. The proposal, which has been pushed by Commissioners Robinson and Mohorovic in particular, would adopt the APA standard as the testing measure for the CPSC as well. An objective standard would add clarity both for the staff who must make compliance decisions, and the industry which can stop worrying that compliance is dependent on a staffer’s ear. Another example of a “step forward” is a proposal determining that four types of plastics used extensively in children’s products do not need to be tested for the presence of phthalates. This proposal would put into action what product manufacturers have been telling the agency for some time—phthalates are not added to these substances and so testing for them both is unnecessary from the standpoint of safety and is costly and burdensome. This proposal, which has been a long time in the making, compliments the flexibility found in the 2009 statement of policy on phthalates testing and, hopefully, should provide some relief to a number of manufacturers and importers. However, the Commissioners could not end the summer on a positive note. Instead, on the last day of August, the Commissioners met to talk about their regulatory priorities for the upcoming fiscal year. Observers of the agency are well aware of the controversy engendered by the agency proposal to significantly change the way voluntary recalls are negotiated and agreed to. Similarly the proposed changes to §6(b) dealing with how information about individual products is made public would distort the statute and surely subject the agency to needless litigation. I have discussed the problems with these proposals in detail, and the Congress has told the agency to cease and desist. Chairman Kaye has repeatedly expressed his lack of interest in moving forward with these two troublesome proposals. However, each time he has been given the opportunity to vote to remove them from the agency’s regulatory priorities list, he has refused to do that. At the recent priorities hearing he was given yet another chance to do that and he did not step up. Instead, Commissioner Adler, a staunch foe of §6(b) and a supporter of the voluntary recall rule, announced that he would be trying to draft a “compromise” to offer at some unknown point in the future (and not specifying if that would be before or after the elections). For those who thought that perhaps these two ill-conceived proposals were behind you, do not be so sure. Commissioner Adler’s gambit may provide the excuse 3 Commissioners need to defy logic, good public policy and the Congress to promulgate these divisive and poorly thought-through rules. On March 16, 2015, the comment period will close for the CPSC’s proposed rule banning specified concentrations of phthalates in children’s toys and child care articles. While those who make and use phthalates are well aware of this proceeding, it has much broader implications for the entire regulated community. The proposed rule is flawed not only in terms of substance but also of process. The manner in which it used a cumulative risk assessment to justify banning products that contribute little, if any, exposure to phthalates has broad and troubling implications that extend well beyond this proceeding. 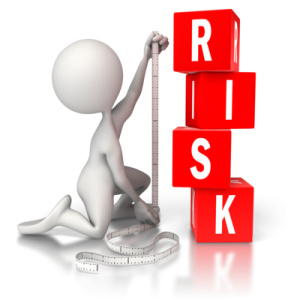 Cumulative risk assessments can be a useful analytic tool in certain circumstances where risks come from identified multiple sources. However, in this instance, it is very clear that the CHAP had issues about how to do the risk assessment and then how to use it. Cutting through the scientific jargon, the CHAP report and the CPSC’s proposed rule based on it address a potential health risk by proposing to ban a speculative contributor to the risk. The notion that this rule will make the marketplace safer is belied by the fact that the CHAP report describes the many other and more primary exposure routes from the other products that contain phthalates—most of which are outside the jurisdiction of the CPSC and many of which are not being used by children. I believe that the CHAP fell far short of carrying out its duties. Since the CHAP believed that certain phthalates present health risks, it should have called upon those agencies with jurisdiction to initiate appropriate action rather than just issue its tepid call for more interagency study. However, for the CHAP go on and “cya” by recommending regulation of a product class that contributes little, if anything, to the hazard as a way to protect human health is akin to emptying a lake with a teaspoon—lots of effort; little results. And it is an intrusion into a policy area where it has no expertise. These concerns are amplified by the fact that the CHAP based its findings on stale data, when there is ample evidence that had it used the most recent data available to it, the analysis may well have reached a different conclusion. For the CPSC, which prides itself on being a “data-driven agency”, to acquiesce in such an inexplicable use of flawed data, much less base a proposed rule on it, is puzzling. It might lead a cynic to wonder if this was a politically driven decision rather than a scientifically driven one. Commissioner Beurkle has addressed the shortcomings of the CHAP report in a statement explaining why she could not support the NPR. It is worth reading. However, going forward, if the CPSC is going to use cumulative risk assessments to justify banning substances that contribute little if anything to a risk and do so based on stale data and flawed analysis, then all CPSC stakeholders should be concerned. This is an issue that affects not just the chemical industry. Those who make and sell products subject to the jurisdiction of the CPSC should weigh in on this troubling dumbing down of science in the name of science.